Connect with us on Twitter or Google+! Stay in contact with us to receive updates that can benefit your business. 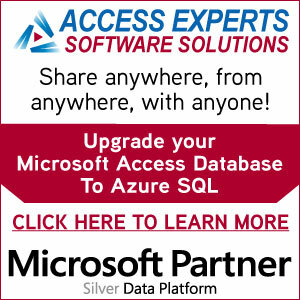 Watch some of our MS Access related videos on YouTube. Check out our MS Access blog for helpful resources. Feel free to call us at (1-773) 658-9826, we are available Monday to Friday from 8am to 5pm (CST).